Fast growing market of IoT devices revealed a number of complex problems. Among these problems, there is a problem of data losses caused by data package losses or delays while its transition from sensor to server. As anticipated, there are a number of businesses relying on easy opportunity to build real-time monitoring systems using modern software and IoT hardware solutions. Although the growing reliability of contemporary communication networks one can find the problem of making decision about lost or delayed data packages. Current research is dedicated to building an algorithm for compensation of gaps in data series to support real-time monitoring systems with appropriate artificially generated values. Cases of applicability of the algorithm were also studied and discussed. The paper deals with some combinations of conforming and nonconforming rectangular finite elements in order to obtain twosided bounds of eigenvalues, applied to second-order elliptic opertor. The aim is to use the lowest possible order finite elements. Namely, the combination of serendipity conforming and rotated bilinear nonconforming elements is considered in details. This work continues some recent researches of the authors concerning eigenvalue approximations. Computational aspects of the used algorithm are also discussed. Finally, results from numerical experiments are presented. The present work is devoted to computer modeling of the emission processes from the surface of graphene. The pivotal obstacle for emission is a model of the unperturbed emission surface. The hydrogen-like atom model is one of the useful approaches describing the states of the emission surface. In  this model was used considering ion screening in the Brandt model . To calculate the ground state of the electron, we used the variational solution of the Schrodinger equation, based on the minimization of the potential energy of an electron in the field of a homogeneous ion. However, the field of the screened singly ionized carbon atom in the Brandt model is not homogeneous. Therefore, it was shown in  that it is possible to obtain a binding energy error of up to 40% when using only the external screening parameter without taking into account the inhomogeneity. In this paper, we consider the effect of the ion screening parameter in the Brandt model λ and the algorithm for determining it by minimizing the total energy of the electron interaction in s state in two parameters: the effective ion charge and the ion screening parameter. The obtained solution of the Schrödinger equation is used to calculate the ground state of a hydrogen-like carbon atom in a graphene lattice at zero temperature and is compared with the results of [2, 4]. Numerical modeling of electronic state evolution due to external electric field in the structure metal-insulator-semiconductor with solitary donor center is carried out. Considering a nanometer disc-shaped gate as a source of the electric field, the problem for the Laplace equation in infinite multilayered medium is solved to determine the gate potential. The energy spectrum of a bound electron is calculated from the problem for the stationary Schrödinger equation. Finite difference schemes are constructed to solve both the problems. Difference scheme for the Schrödinger equation takes into account cusp condition for the wave function at the donor location. To solve the problem for the Laplace equation, asymptotic boundary conditions for approximating the potential at large distances from the gate are proposed. On the basis of calculation results, a controlling parameter is suggested, which allows to determine the localization of electron wave function regardless of insulator thickness and permittivity. This paper focuses on designing mathematical model a integrated bioethanol supply chain (IBSC) that will account for economic and environmental aspects of sustainability. A mixed integer linear programming model is proposed to design an optimal IBSC. Bioethanol production from renewable biomass has experienced increased interest in order to reduce Bulgarian dependence on imported oil and reduce carbon emissions. Concerns regarding cost efficiency and environmental problems result in significant challenges that hinder the increased bioethanol production from renewable biomass. The model considers key supply chain activities including biomass harvesting/processing and transportation. The model uses the delivered feedstock cost, energy consumption, and GHG emissions as system performance criteria. The utility of the supply chain simulation model is demonstrated by considering a biomass supply chain for a biofuel facility in Bulgarian scale. The results show that the model is a useful tool for supply chain management, including selection of the optimal bioethanol facility location, logistics design, inventory management, and information exchange. Energy and exergy analysis of sea water pump which is used for the main condenser cooling at lower steam propulsion system loads on conventional LNG carrier is presented in this paper. By using the measured variables from the exploitation, it is presented different influences of pump used power on cumulative energy and exergy power inputs. Energy and exergy pump power losses are reverse proportional, while pump energy and exergy efficiencies are directly proportional to increase in pump load. The highest obtained pump energy efficiency amounts 59.61 %, while the highest obtained pump exergy efficiency amounts 60.25 %. From the viewpoint of efficiencies and power losses, it will be optimal that analyzed pump operates at the highest possible loads. In this paper we try to bring a modeling framework in optimization problems for hydro-thermal coordination problems solved in electric power systems. There are certain specifics when dealing with hydro power plants and the reservoirs they are fed from. In many cases these water reservoirs are connected and this involves additional complications in optimization models building. We give guidelines for model size reduction and awareness. This framework is suitable for practitioners willing to be aware of hydro-power modeling and optimization but having no previous mathematical optimization training and experience. 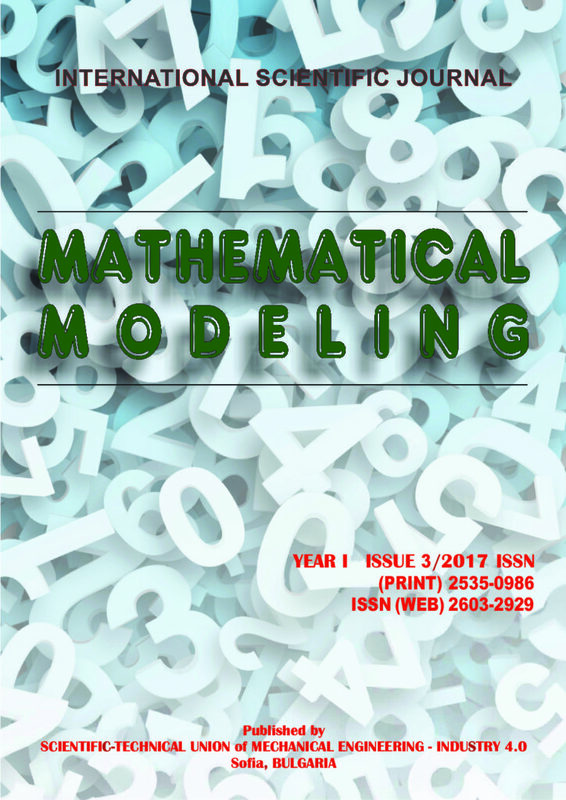 The paper considers the problem of modeling agent’s choice, which allows explaining made decisions, as well as predicting possible options. The approach is based on the ideas of a subjectively rational choice. The subjectively rational choice supposes that a choice motivation is determined by external and internal factors. Internal factors represent the interests of a subject induced by his needs and ethical system he follows. External factors are induced by accepted obligations. The agent can estimate his satisfaction with the current goal-seeking state situation. The estimation might lead to changing a structure of interests, so the agent can choose it. The paper shows that when making decisions the agent uses three sets of alternatives as follows: controlling, structural and identification. This supposes the existence of three virtual sides, which choose relevant alternatives. The selection rules for such alternatives depending on subject’s awareness of the situation and the structure of his interests are formed by finding a compromise. An approach for creation of biophysically based models for the steady state current of cyclic processes is investigated. When the process (like chemical reactions) can be described by a system of linear ordinary differential equations, an analytic expression for its steady state exists. The analytic expression is especially simple for the current of single cycle processes. In biologic context, concentrations of many substances change in a very restricted (patho)physiological range. This allows neglecting some terms of the analytic expression and thus obtaining biophysically based models that are both simple and adequate for description of currents produced by enzymes, pumps or transporters. The approximations obtained could be reduced to the existing empirical models. A clear way of expanding a specific empirical model for obtaining the desired quality and range of validity is also represented. The described approach is general and can be useful for creating biophysically based models of other types of processes. The effect of the exposure of biological tissues to external electric fields is still a potent source of controversy. This work addresses the diffusion of ions under the effect of an of an external DC electric field. This was done by studying the diffusion coefficient D as an indicating parameter for such effects. The work was based on a stochastic computer simulation in which the tissue was considered as a matrix containing the elements under study. The size of the matrix was up to 30,000 × 30,000. A two-dimensional honey comb cellular pattern was simulated such that it allowed six maximum possible element-to-element communications. The effect of vacancy concentration and annealing time were tested firstly in the absence of electric field. Then different values of the electric field were applied. Moreover, different vacancy concentrations were studied under the effect of the electric field. The results showed that the ionic penetration increases proportionally with the strength of the electric field as well as the percentage of the available vacancies in the host medium.